I've been quite busy with house projects lately and haven't ventured outside the Lake George Wild Forest since the 4th of July! Today I took a few hours to revisit Moxham Mountain. 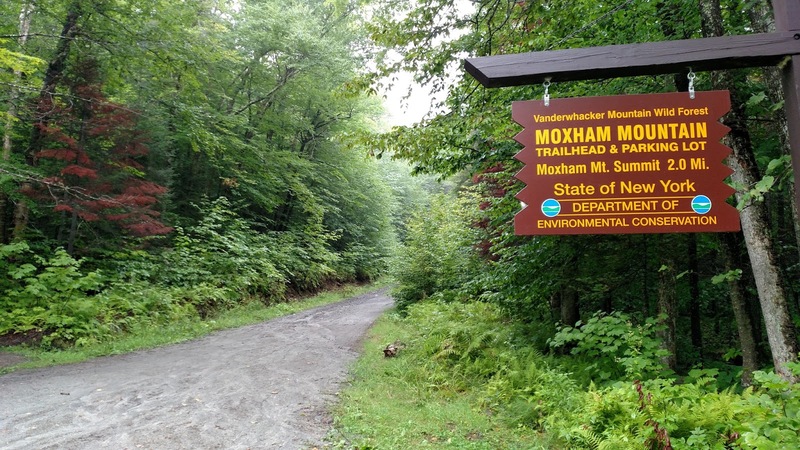 I hadn't been there since August 2012 when the trail was first opened to the public. 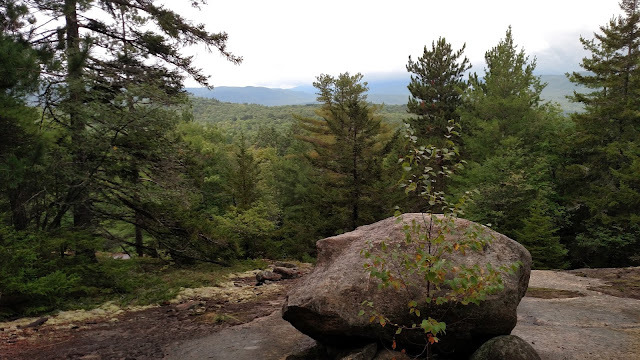 When I was there last, there was no signage and the pink flagging was still on the trees marking the route. 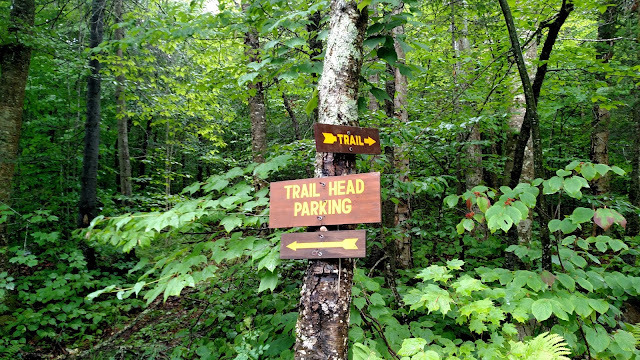 This time a sign was present along with a parking and trail sign. Note: The sign says it is 2.0 miles to the summit. 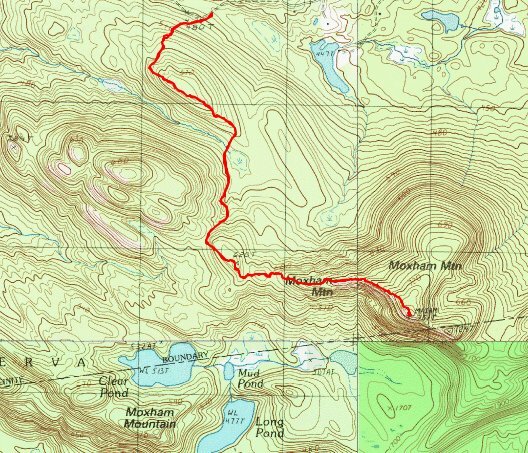 It is actually 2.6 miles. 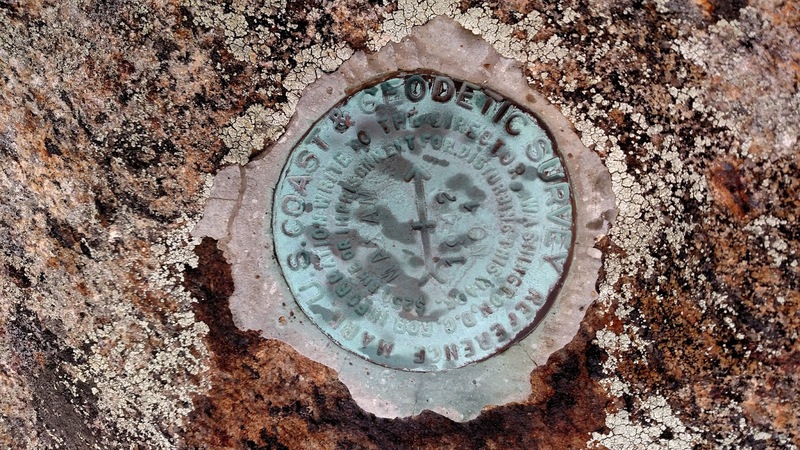 That could make a difference in your plans if you are hiking with young children. I drove through a rain shower just minutes before I started hiking and I expected more rain to fall while I was hiking. 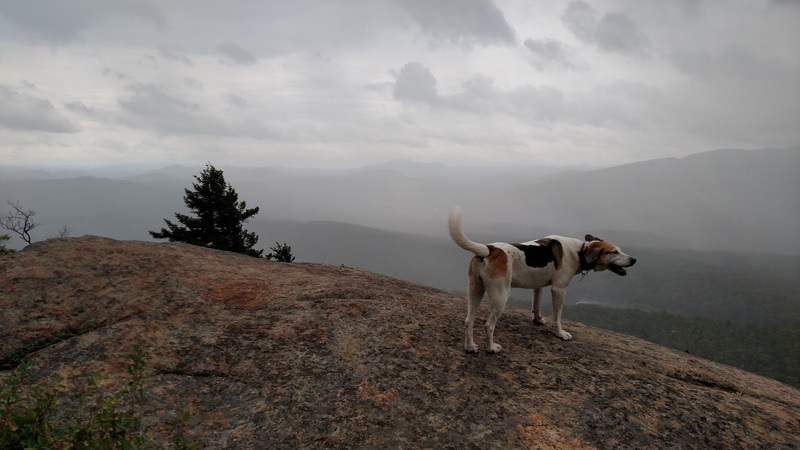 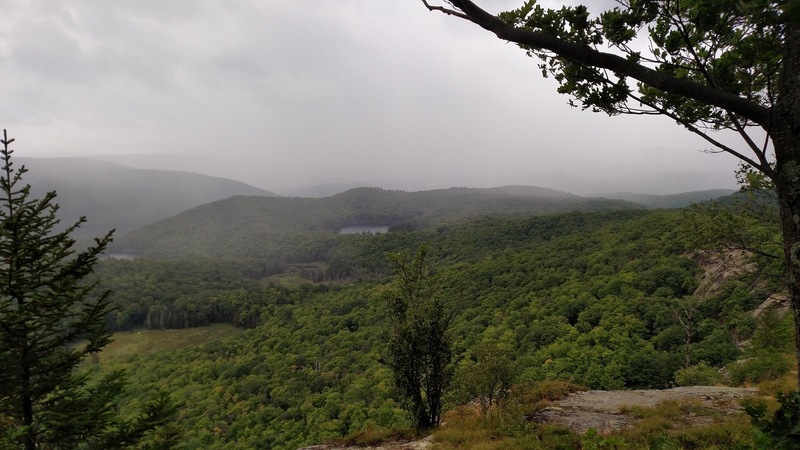 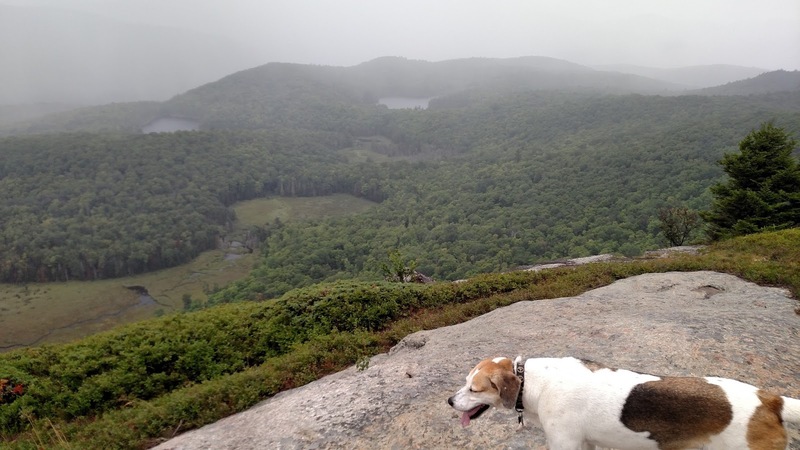 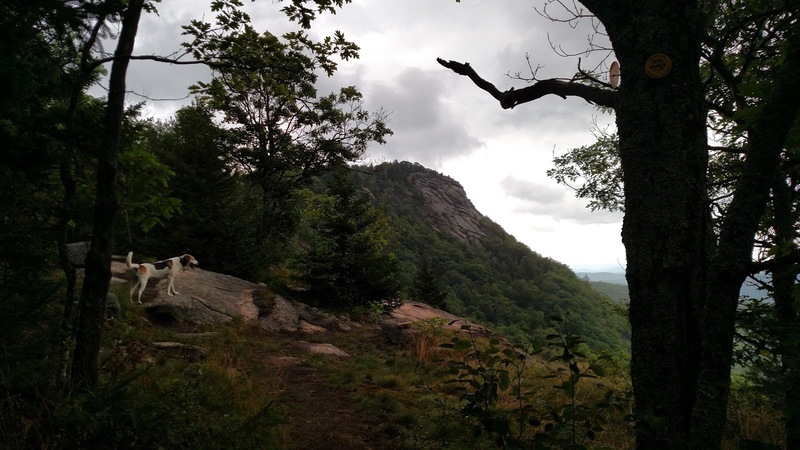 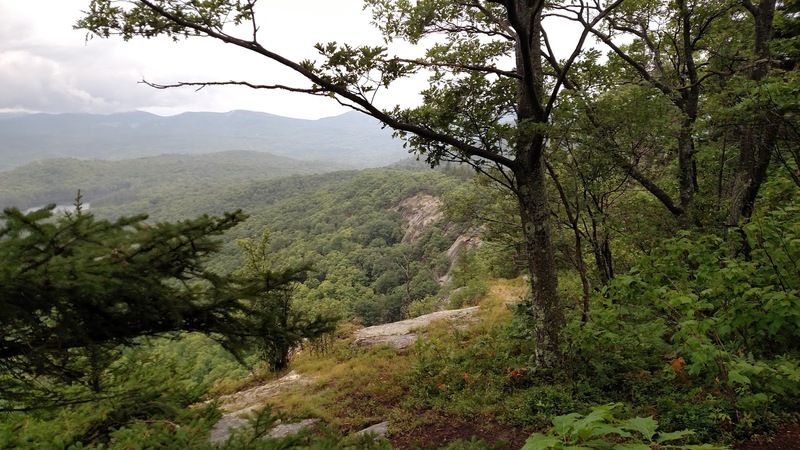 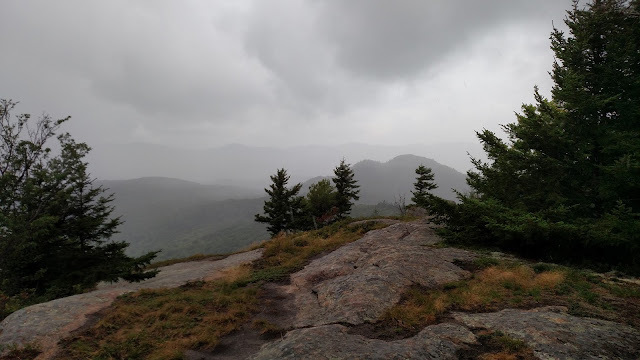 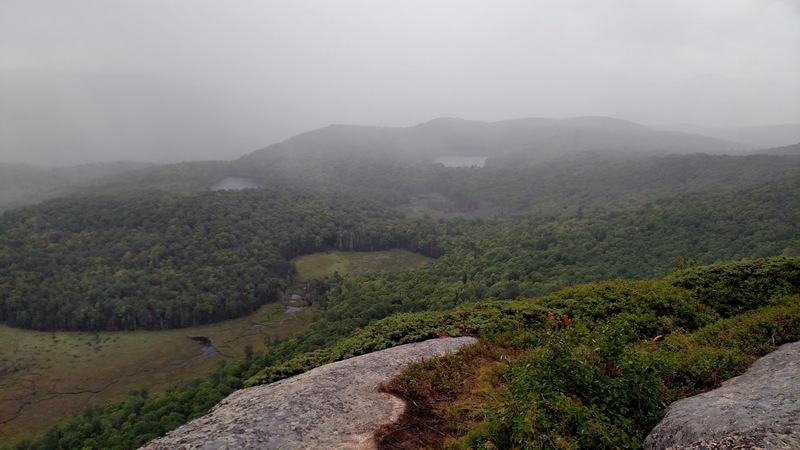 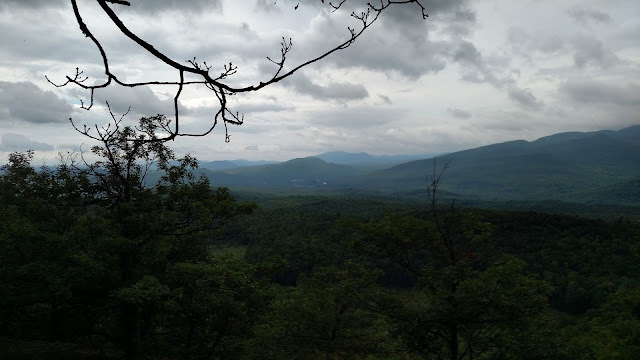 Yesterday I got caught in quite a heavy downpour on Pilot Knob Mountain in Lake George. 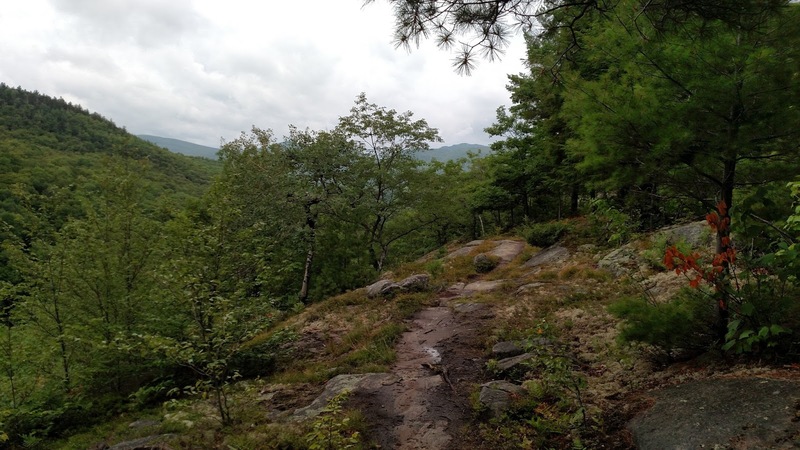 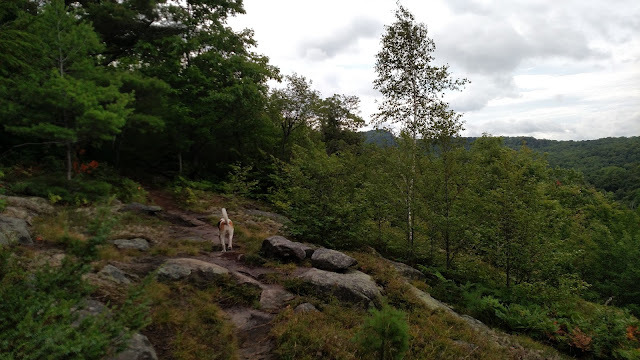 One nice thing about this trail is that is doesn't have any steep sections; it is moderately steep at best and it has a couple short downhill sections. 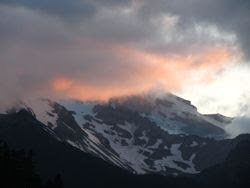 Another nice feature is that it offers a few views along the way, including one nice view of the summit. 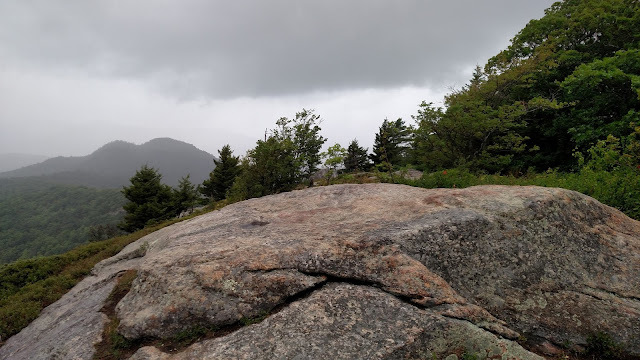 I got to within 10 minutes of the summit before the rain resumed; fortunately it stayed on the light side and while I was under tree cover I stayed relatively dry. A nice view of the summit. 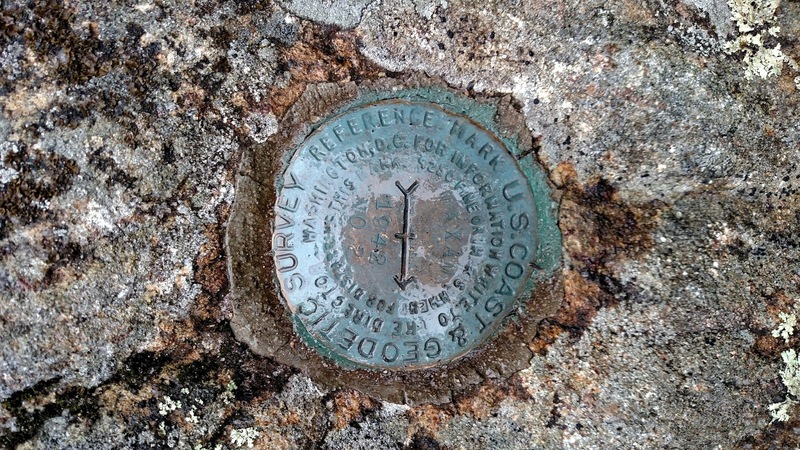 On the summit are several USGS marker along with bolts from an old survey station. The rain stopped soon after I left the summit and the sun actually made an appearance for a little while on the way down.